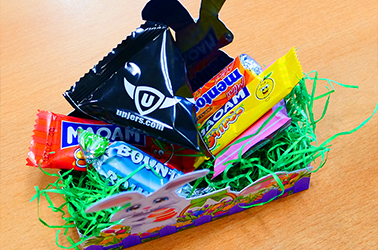 One of the long standing traditions for the Easter holidays is to hide a basket full of small treats, like chocolate Easter bunnies and such, in the gardens and for children to go hunting. These baskets we call “Osterkörbchen”. 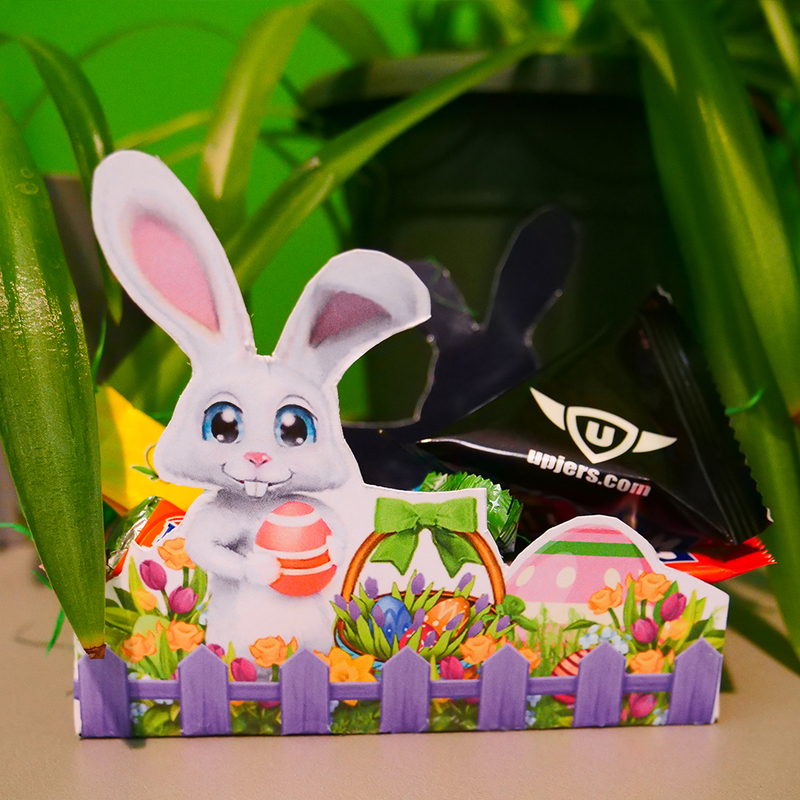 This year we have created a little DIY project for you: A paper cut-out Easter basket with Uppy, our friendly mascot bunny. 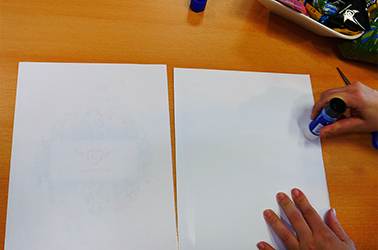 Simply download the PDF, print it our, glue it onto some cardboard and cut along the gray line. 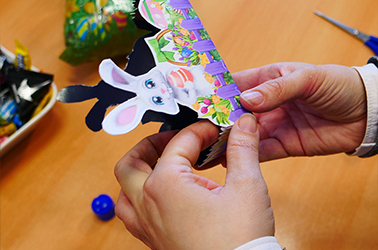 Fold the cardboard, glue or tape it together and enjoy your handmade, Uppy-themed Easter basket. 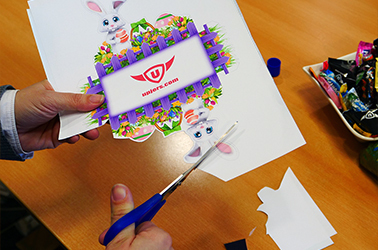 This is what you need for our DIY Easter Basket: the upjers paper cut-out, a cardboard, scissors, glue, candy and Easter grass if you like. 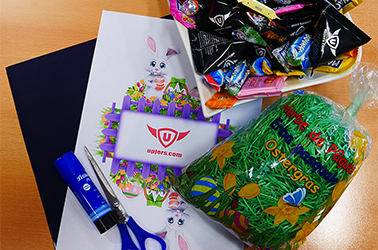 While you are preparing your home for the Easter festivities, we are releasing many Easter events. The first ones are starting tomorrow in My Free Farm and Molehill Empire, followed by Zoo 2: Animal Park this Thursday, April 11th. On Friday, April 12th, the fantastic Easter calendars in My Free Zoo, MyFreeZoo Mobile, My Little Farmies, My Little Farmies Mobile, My Free Farm and Molehill Empire are waiting for you with tons of free goodies! Nothing is better than a good Easter shower of presents while the sun is shining. Undermaster Hordes – What’s the Deal with Dragon Stones?